Many families with kids, as well as local high schools, approach Honolulu Habitat for Humanity about helping to build homes for the community. In the past, they turned away many interested young people because those under 16 are not allowed on the construction sites. So this holiday season, they are offering an alternative. Now young people can help build awareness and raise funds by joining a Gingerbread Homes build. 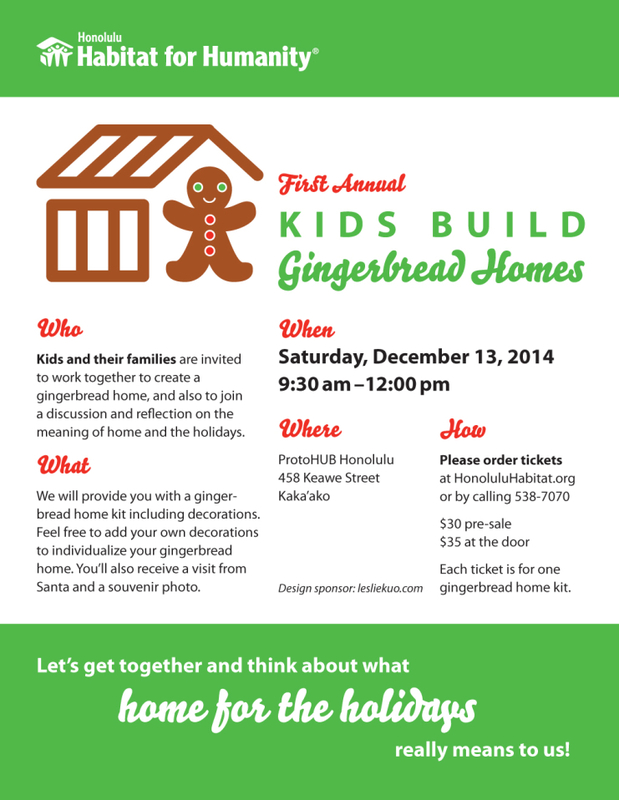 If you are in the area, please join us on December 13 to build a gingerbread home. More event information on the Honolulu Habitat for Humanity website.